Should you take clean solar panels seriously? Installing a solar system, it’s a big investment for families and business. There are no surprises as to why either. You’re committing and investing into a long-term solution to help you manage increasing electricity prices. You want to be able to spend your money on better things, such as a holiday with your family or even a new appliance. 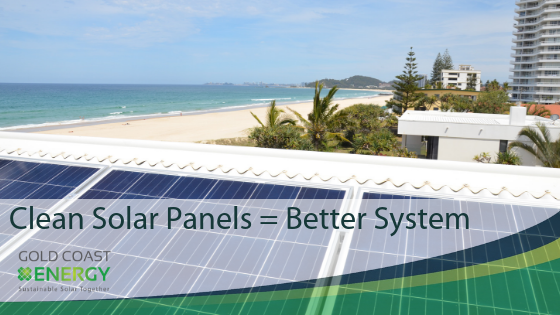 It all makes perfect sense, and that’s why we do our best to tailor you and your home a high-quality solar system that’s going to put the most amount of money back in your pocket. But like any long-term investment, it needs to be looked after regularly and properly. 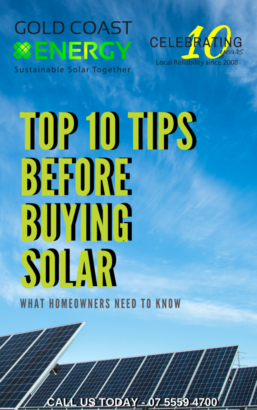 The only difference between servicing a car and servicing your solar panels, is there isn’t an indicator telling you how often you need to have it done. We, along with the Clean Energy Council, recommend servicing your system once a year at a minimum. This ensures you continue to get the most out of your investment for its lifetime. Clean solar panels can increase production by 30%! Is rain a substitute for professional cleaning? Maintain the manufacturer warranty requirements. DID YOU KNOW that you need to have your system serviced regularly to maintain warranty? When was the last time you had your panels cleaned or serviced? Or your friends and family? Ensure you get a service to keep those warranties valid! Here’s a case where a client wasn’t happy with his systems performance. He was noticing a decrease in performance which was frustrating him. We completely understood his frustration as we know homeowners don’t take their investment in solar lightly. It’s all too common a scenario we see. Homeowners put their trust and faith into a solar ‘cowboy’ who is only interested in a sale. They rope homeowners into a system and then 1 year later they’ve packed up shop and moved on. Leaving homeowners stranded without a proper servicing body to help them with their system. Frank was one of these homeowners, he contacted us and we were out the very next day to help optimise his solar system. When we got out there and cleaned his panels, he saw a production increase of 30%. Frank was so happy with the results he booked another clean for a year from the day we visited. “Enquiries handled with promptness. Work carried out with efficiency and politeness. So please that I am booking it in for next year” – Frank. So, in answer to the headline, YES, you should be taking clean solar panels seriously. Call our office today on 07 5559 4700 to organize a service schedule for your system. 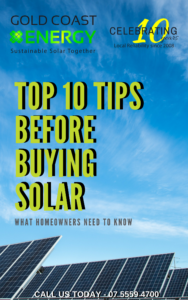 If you want to learn more on the process to clean solar panels click here. Enjoy peace of mind with Gold Coast Energy.